Alex Singleton may have dual citizenship and all but he is still getting used to this Canadian thing. 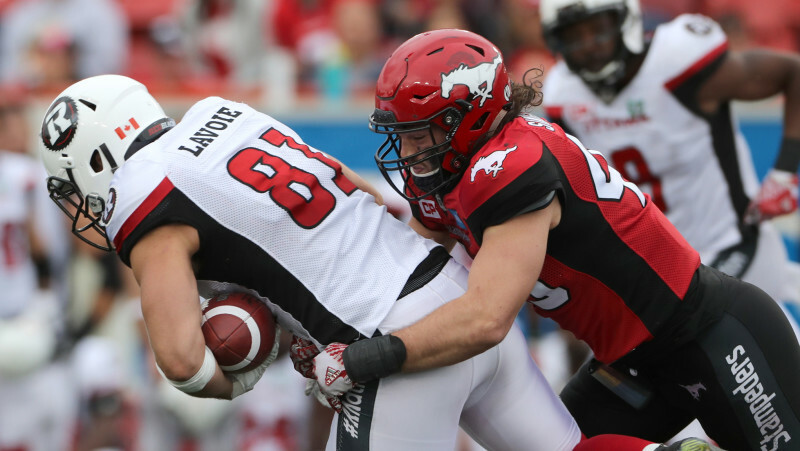 The rookie linebacker with the Calgary Stampeders, born and raised in Thousand Oaks, Calif., is smart and observant and so the little things – both on and off the field – do not escape him. While he has had obviously no trouble at all in adjusting to pro football, Canadian style, life in a locker room full of Canucks can still be a little odd for him. “People are nicer in Canada,” he says, before illustrating how that can throw a wrench into his idea of what needling a teammate is all about. At the age of 22, Alex Singleton might still be getting used to the nuances of being a Canadian. It is evident, though, that he is already well assimilated to the ins and outs of life on a bigger field. He has emerged as a top-shelf force in the Canadian Football League, patrolling the middle linebacker’s spot with guts and gusto, precision and thought. Laid back and friendly off the field, Singleton takes no prisoners on it. With 53 defensive tackles and nine more on special teams, he has been a quick study in ascent, having supplanted veteran Tank Reed as the Stamps’ man in the middle by the time early September rolled around. He’s owned the starter’s job ever since. Singleton’s in a chatty mood on the day we talk – maybe he always is – gladly offering up insights on what makes him tick; everything from his habit of hitting the weight room at 5:30 in the morning to the play that made it clear to him that he had arrived, to his desire to get more involved with the community in Calgary. He is affable and thoughtful and especially buoyant when speaking of his older sister, 25-year-old Ashley, who has been a source of inspiration and joy for as long as he can remember. I’ll get to more on Singleton and his cherished relationship with Ashley and Special Olympics, but first, a focus on his quick rise to prominence in the Stampeders’ defensive corps. By now you’re probably well aware of Singleton’s path to the CFL, but if not, here’s quick refresher: After his college days with Montana State and three tryout tours in the NFL, Singleton discovered that he could attain national status in the CFL, due to his mother, Kim, being a native of Toronto. Singleton got his Canadian citizenship and was nabbed by the Stampeders, sixth overall, in the 2016 CFL draft. It was assumed, that day, that Calgary had gotten a real gem and that has proven to be the case, as Singleton has been a productive part of one of the league’s best defences. From the first day of training camp, Singleton looked pretty well at home. Partly because he feels very good on a football field and partly because his daily preparation is thorough, including those early morning weight-training sessions, something he’s done since college. “You always read that if you work out first thing in the morning, you feel better all day and I believe in that,” he says, adding that he rewards himself with post-practice naps at a time when most of his teammates opt to hit the gym. It can be a little lonely so early in the morning and Singleton reports that he and quarterback Bo Levi Mitchell are the two players most often strolling into the team’s offices at that time. Singleton was out to prove a few things about himself at camp. Feeling comfortable with the gridiron if not the social customs of his new locker room buddies, he was already certain of the type of player he’d set out to be and what he wanted to showcase in the CFL. “Being the most dynamic player you can be is what makes someone special,” he explains, “not just a guy that can button press a lineman. 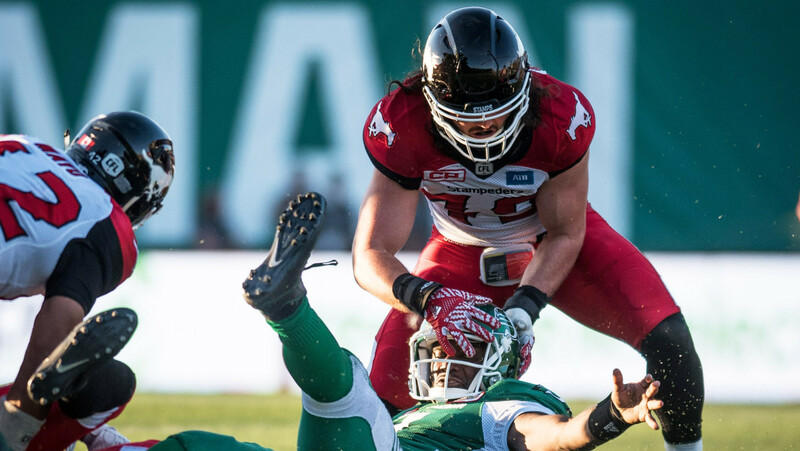 The Stampeders, having parted with stalwart veteran Juwan Simpson during the off-season, had signed Taylor Reed as a free agent in order to fill the void. If the kid they drafted a few months later needed a season to blossom, there were no worries. Reed was capable of filling the bill. So was the kid, it turns out, who rotated reps with Reed through the early portion of the season and into August. By the end of the month it was apparent that the rookie could handle the load of being a starter. The Stamps released Reed (now in Ottawa) a couple of days after the Labour Day re-match with Edmonton. If there was a breakout game, a breakout moment for Singleton, it came very early in the season. 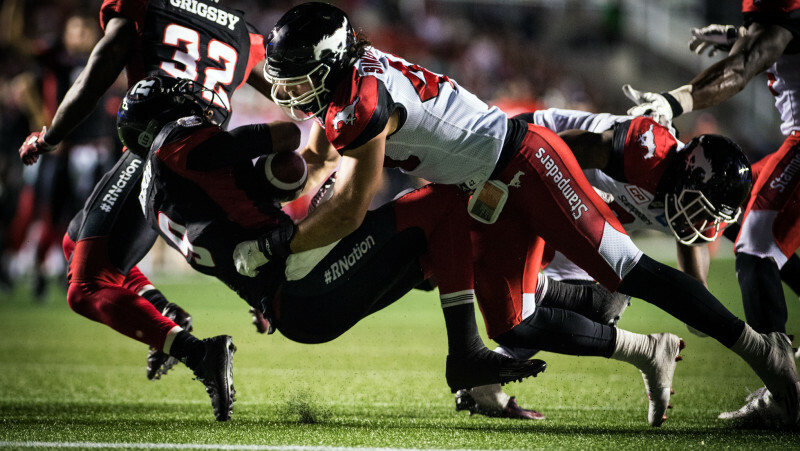 With a minute and a half remaining in a Week 3 game in Ottawa, the REDBLACKS were driving for what appeared to be a certain touchdown or field goal and a win, which would have dropped the Stampeders to a record of 1-2. Flying out of the end zone, Singleton lowered the boom on running back Nic Grigsby at the one yard line, forcing a fumble that Calgary defensive back Josh Bell would recover, and salvaging a tie. It was a monster play and one Singleton was happy to make, considering he had taken a roughing the passer penalty earlier in the drive, allowing Ottawa to continue the march. “It’s one of the plays that started my roll, giving me confidence,” says Singleton adding that he felt he needed to make amends for the penalty, even though he quarrelled with the call. It was a spectacular bit of football and one that gave him self-assurance because it felt very familiar. That play was a harbinger of things to come and within weeks, Alex Singleton was doing that sort of thing on a regular basis. Getting the chance to attend the Special Olympics “Breakfast With Champions” was a welcome occurrence for Singleton, who is looking to take on a bigger community role in Calgary. “This was the first thing I’ve done so far this year but I definitely wanna get really involved with it because it’s what I’ve done my whole life,” says Singleton, who has previously volunteered to help special needs kids in the classroom. Pitching in to help with Special Olympics is something that Singleton finds so very rewarding and inspiring. That kind of love and acceptance, Singleton says, is in abundance when you’re in the presence of Special Olympians. 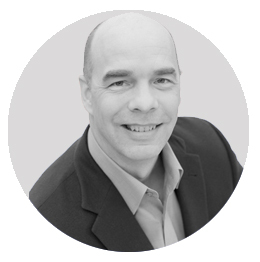 “It’s about being happy and finding the gold in something that’s not good,” he says of them.